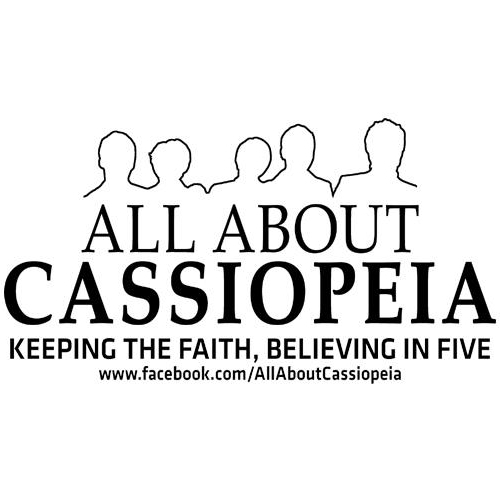 All About Cassiopeia continues to keep the faith and believe in five as it turns four! Since 2008, All About Cassiopeia has been dedicated in serving you everything and anything about Cassiopeia. Now that All About Cassiopeia is about to celebrate its fourth founding anniversary, it is pleased to announce its logo transformation. With the tagline Keeping the Faith, Believing in Five, All About Cassiopeia wants to share with every Cassiopeia its firm hopes for Jung Yun Ho, Kim Jun Su, Kim Jae Joong, Park Yoo Chun, and Shim Chang Min, collectively called as TVXQ!. All About Cassiopeia has gone a long a way for the past four years but will never cease to be of service to every Cassiopeia all over the world. Let us all keep the faith and believe that the Five Gods from the East will soon rise up again on one stage – singing their hearts out! ← ‘XIA 1st Asia Tour Concert TARANTALLEGRA’ DVD + Track List, Out In October!